1. 24-Hour Monitor Always -on Protection of car. With time lapse function and motion detection supported by G-sensor, 70 mai Pro can help recording during parking mode. 2. 1944P Super High Definition . strong light and produces a more clear and vibrant image. Real time Alert warns you when veening off the lane and when about to hit another vehicle ahead. Reduce distortion or degradation of images and reproduce a clear vision while driving in snow, smoke and haze environment. 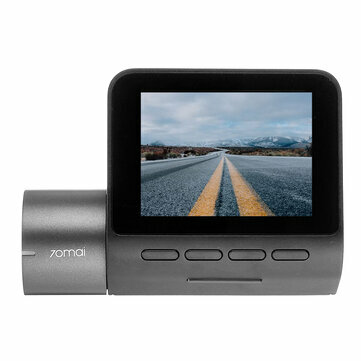 1 X XIAOMI 70mai Dash Cam Pro (Not included GPS module) GPS module, click here.